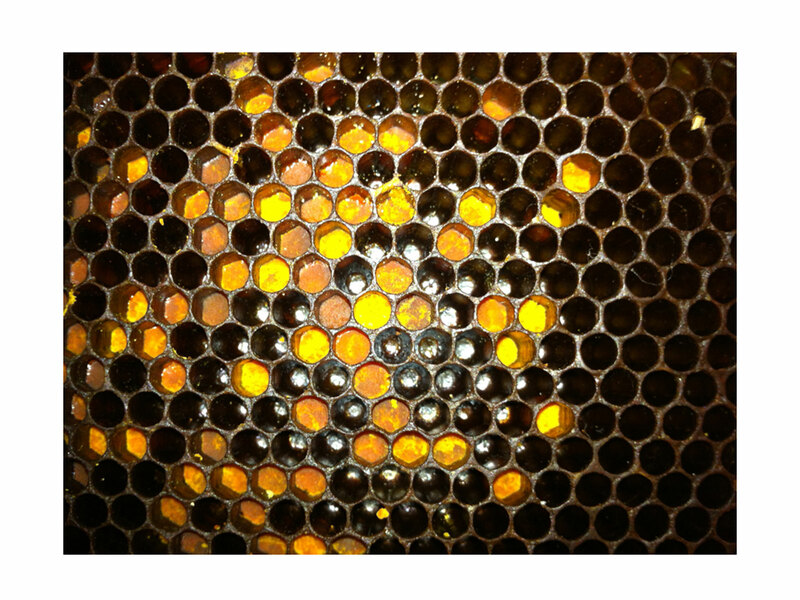 Beebread packed into comb cells. 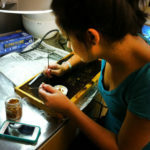 A WSU students separates beebread from the wax comb. 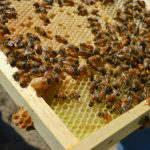 RICHLAND, Wash. – While neonicotinoid pesticides can harm honey bees, a new study by Washington State University researchers shows that the substances pose little risk to bees in real-world settings. 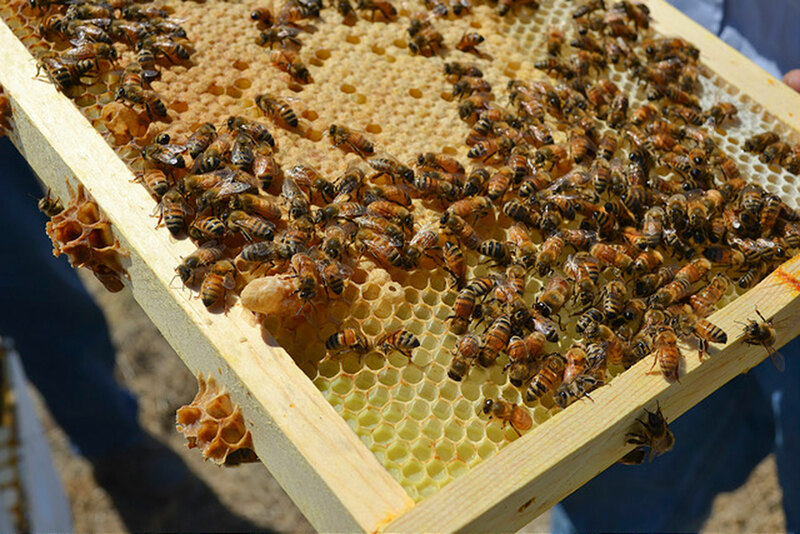 The team of WSU entomologists studied apiaries in urban, rural and agricultural areas in Washington state, looking at potential honey bee colony exposure to neonicotinoid insecticides from pollen foraging. The results were published in the Journal of Economic Entomology (http://jee.oxfordjournals.org/content/early/2016/01/19/jee.tov397) this spring. After calculating the risk based on a “dietary no observable adverse effect concentration” – the highest experimental point before there is an adverse effect on a species – of five parts per billion, the study’s results suggest low potential for neonicotinoids to harm bee behavior or colony health. 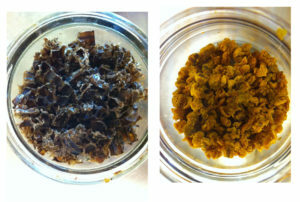 Bits of the wax comb, left, after separation of the beebread, right. Felsot said the study shows that the risk of bee exposure to neonicotinoids is small because bees aren’t exposed to enough of the pesticide to cause much harm in a real-world scenario. Lead author Timothy Lawrence, assistant professor and director of WSU Island County Extension, said many sublethal toxicity studies, whether at the organism level or colony level, have not done formal dose-response analyses. “The question we posed focused on the risk of exposure to actively managed honey bee colonies in different landscapes,” he said. With the cooperation of 92 Washington beekeepers, the team collected samples of beebread, or stored pollen, from 149 apiaries across the state. While exposure levels were found to be small, Lawrence said it is still important to be careful with use of neonicotinoid insecticides and follow product label directions. 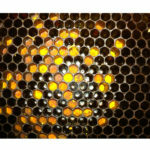 For example, insecticides should not be used during plant flowering stages when bees are likely to be foraging. Other researchers on the study included Elizabeth Culbert, WSU Food and Environmental Quality Lab (GEQL) research technician; Vincent Hebert, WSU associate professor of entomology and laboratory research director; and Steven Sheppard, WSU professor and department chair of entomology.